Let me see if I have this correct. No one can attend other than La Resistance and credentialed press. Sounds like a closed meeting to me. 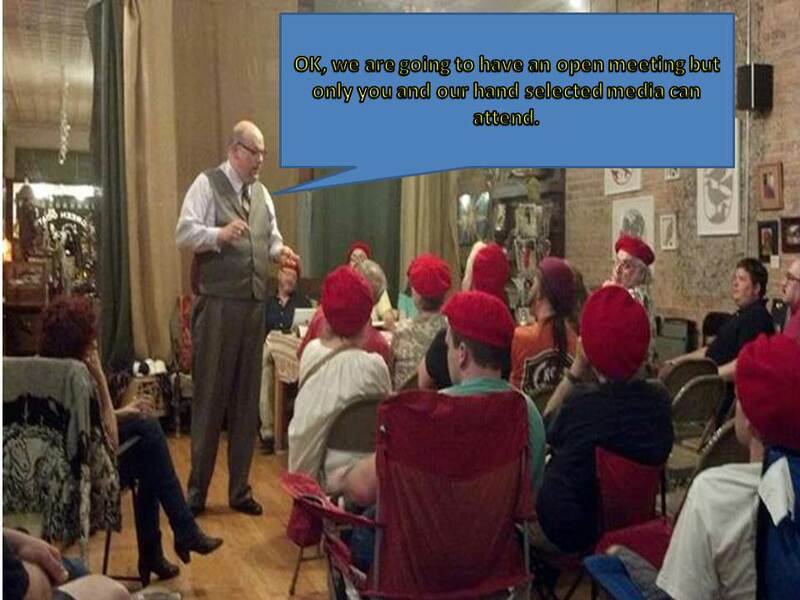 Funny thing is, La Resistance accuses the Tea Party of having closed, secret meetings. Once again, the pot is calling the kettle black.